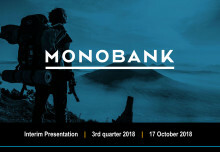 Monobank experienced positive operational development and continued strategic progress through the third quarter of 2018. Overall loans and advances to customers increased 7% (NOK 243 million) to NOK 3 541 million, excluding provision for loan losses and prepaid agency commissions, from 3 298 million in the second quarter of 2018. Third-quarter interest income was NOK 106 million, an increase of 8% from the previous quarter (NOK 98 million). Cost/income ratio declined 9 percentage points in the quarter, mainly as a function of reduced marketing spending and staff costs. The bank’s multi-country platform offers considerable operational synergies and adds strength to the company’s growth platform. 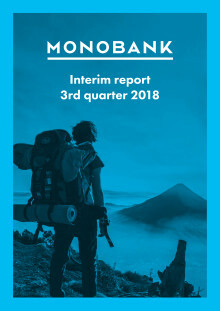 Current operational expenses reflect that Monbank has successfully scaled for further growth, and the board has decided to launch consumer loan business in Sweden in the first quarter of 2019. The expansion will contribute to diversify the business model and regulatory risk exposure. Monobank has adjusted its 2018 year-end target of overall net loans to a range of NOK 3.7 to 3.8 billion, from previously NOK 4.1 billion. The adjustment reflects partly that the bank did not adequately factor in forward flow-agreement effects when the guidance was given in April 2018. 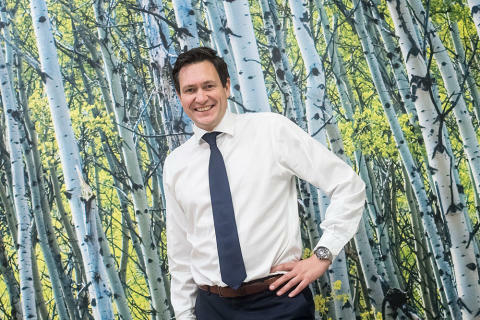 Furthermore, an uneven practice of new guidelines and uncertainty related to final regulations by the Financial Supervisory Authority in Norway has prompted a more conservative market approach by Monobank pending more clarity. These factors, combined with a slower-than-expected introduction of the Widerøe-branded credit card, impacted net lending growth already in the third quarter. “Monobank continues to deliver growth and improved profitability. We are satisfied with close to NOK 40 million in profits year-to-date considering that we have built our digital bank focused on consumer loans independently from scratch three years ago. 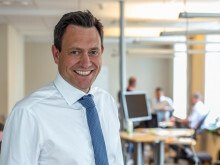 At the same time, we want to improve our profitability further and given that economies of scale matter we have firmed up our commitment to an ambitious goal of NOK 10 billion in consumer loans within the next three to four years”, said Bent H. Gjendem, Chief Executive Officer at Monobank. The company will host a presentation of the third quarter 2018 results in Oslo today Thursday 17 October at 11:00 AM CEST at Hotel Continental, Stortingsgata 24, 0117. The company will also host a presentation of the second quarter 2018 results in Bergen Thursday 18. October at 12:00 PM CEST at Monobank’s headquarter, Telegrafen, Starvhusgaten 4, Entrance: Olav Kyrresgate 3rd floor, Bergen.